fourth. of. july. recap. - bitte.und.danke. While July 4th may have come and gone, I’m not ready to let go just quite yet. 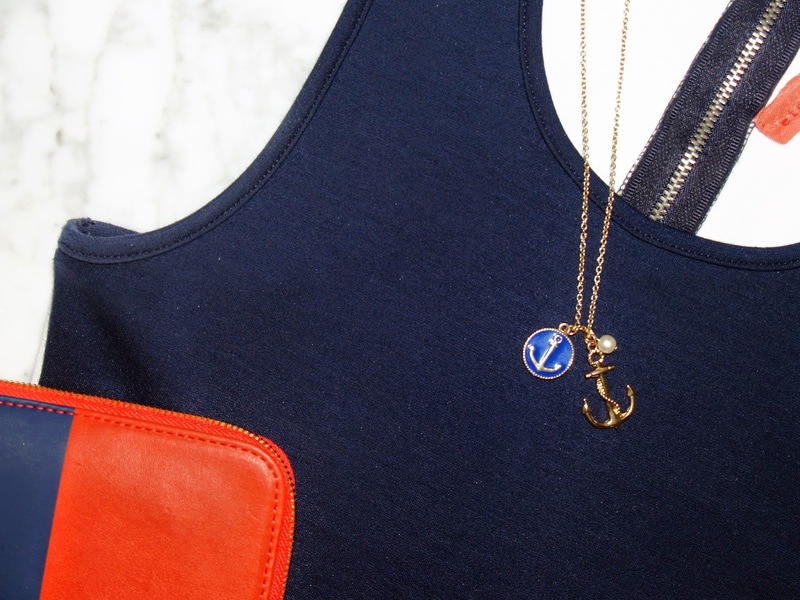 Though summer only began a few weeks ago, we all know that the Fourth of July is kind of like the halfway point. It’s bittersweet, really. Echoing a sentiment that I’ve heard a lot lately, at this moment in time, I never want summer to end. Can we make that possible? To capture the spirit of our country’s most patriotic holiday, I thought it would be fun to do a photo post recapping my weekend (or rather #ootd). Speaking of the Fourth, mine was super chill – shopping, watching fireworks (kind of…) and relaxing. I couldn’t have asked for more! 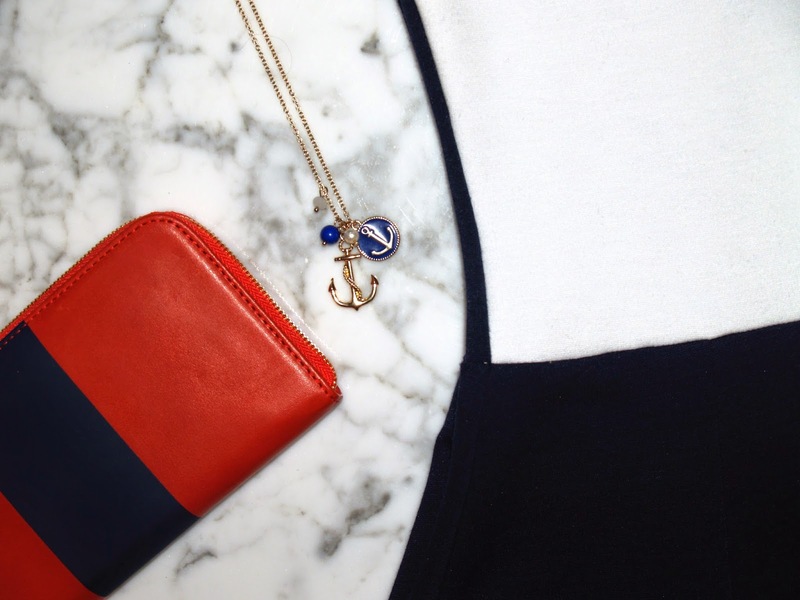 Naturally, I opted for a navy blue fit-and-flare dress (with a white panel on the back) by Eight Sixty and a cute nautical anchor charm necklace. 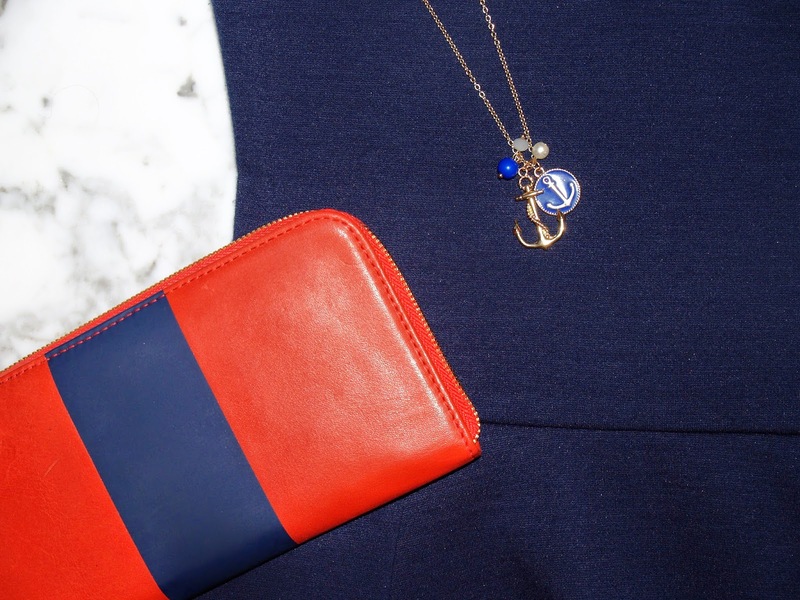 My red-and-blue striped Clare Vivier zip-wallet ended up being the perfect accessory to my dress. To top it all off, I kept my manicure nice and simple. Red nails, a blue accent nail and glittery tips!